Latest price of Lenovo K8 Note 32 GB with 3 GB RAM in India was fetched online from Flipkart, Amazon, Snapdeal, Shopclues and Tata Cliq. 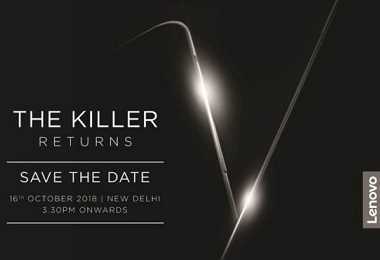 "Lenovo Rolls Out Media Invite for October 16 Launch Event in India: New K-Series Smartphone Expected"
Lenovo Mobiles came out with their first big launch in India with the Lenovo K8 Note. Along with this being the first big launch of August 2017, the phone also became the first Lenovo phone to skip the Vibe UI and run only on stock Android. This phone comes with a premium all-metal design, is sleek and stylish. Venom Black and Fine Gold are two colour variants available, and the former comes with a matte back finish. The phone scores high in the looks department. As far as the performance of the phone is concerned, it comes powered by the Deca-Core MediaTek Helio X23 20nm processor with MediaTek Tri-Cluster Deca-core architecture. The performance of the phone is pretty amazing, thanks to the 3GB/4GB RAM. Also, with ARM Mali T880 MP4 GPU, most games run smoothly on the phone. For average day to day usage, Lenovo k8 Note performs commendably. Moving on to the next important feature, Lenovo K8 Note comes with the dual camera on the rear and a front facing camera. On the back are two cameras- 13MP with dual tone LED flash and 5MP secondary camera for depth capturing. The rear camera clicked impressive photos in daylight but struggles a little in bad light. And on the front, there is a 13MP camera with f/2.0 aperture, LED flash and wide-angle lens. Talking about the storage, the phone comes with two storage options- 32 GB storage with 3 GB RAM and 64 GB storage with 4 GB RAM. The storage can be expanded up to 128 GB with the use of a microSD card. Lenovo K8 Note comes powered by a 4000mAh built-in battery, which the company claims will last for a day with moderate use. This, however, depends on how the phone is used and how many apps are running in the background. The phone takes about 48 minutes to go from 0% to 50% with its 15W turbocharger and takes about 2 hours to charge fully. This budget phone comes with a 5.5-inch full HD IPS LCD screen, protected by 2.5D Corning Gorilla Glass. The resolution is 1920*1080 pixels with 401 PPI. The phone has dual SIM options, supports 4g LTE bands, and you can use 4G SIMs in both the slots. Other connectivity options include Wi-Fi, Bluetooth 4.2, USB OTG support, and GPRS. Last but not least, the phone is a complete stock Android phone, runs on Android 7.1.1 Nougat, with the Android Security Patch of July 2017. The company promised the next Android Oreo update, although we cannot be sure as to when the phone will receive the update.